History showed up on our doorstep today - Kuhlmann Leavitt, Inc.Kuhlmann Leavitt, Inc.
Hopefully he’ll stop in again, leave his name and number and bring more photos! For now, we have this little beauty to enjoy and wanted all of you to see it, too. 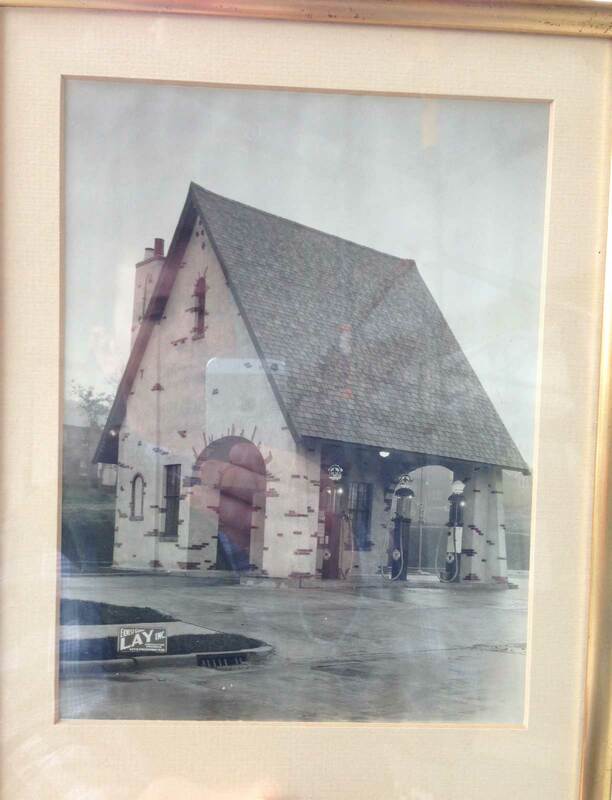 Apparently, without a doubt, 7400 Pershing did begin as a service station, drive through and all! We’re looking forward to learning even more…like, when it stopped selling fuel and when it started being many other things. Who knows, perhaps this gentleman will be able to tell us where the neon signs in the attic came from and what they were used to promote. Wow! Do you get to keep the picture? That will be awesome to talk to him about the building. See you soon. Deanna, who is the guy in the picture with cell phone? It is a ghost!! I love it! the story unfolds. 19 February 2013, 9:26 pm Kuhlmann Leavitt, Inc.
…It really is incredible. We are so lucky that he has come forward!